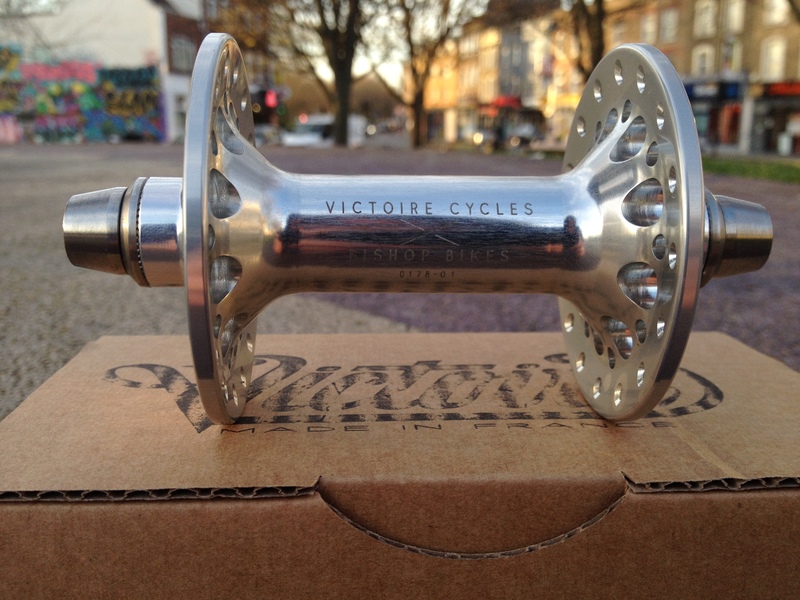 Our good friend Ju from Victoire Cycles sent over a set of their Victoire Cycles X Bishop Bikes Supersprint hubs for my upcoming build. We are very excited about these as we have heard nothing but good things about them. 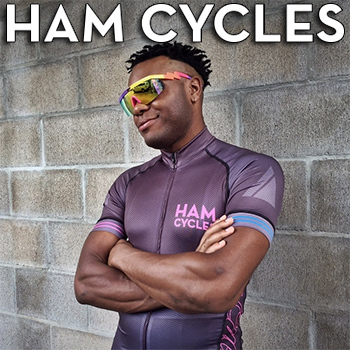 Right out of the box you can tell that these are not your ordinary hubs. The body, axle, and spacers are machined from aero-grade 7075-T6 alloy. The hubs feature an oversized female axle that is made of titanium. 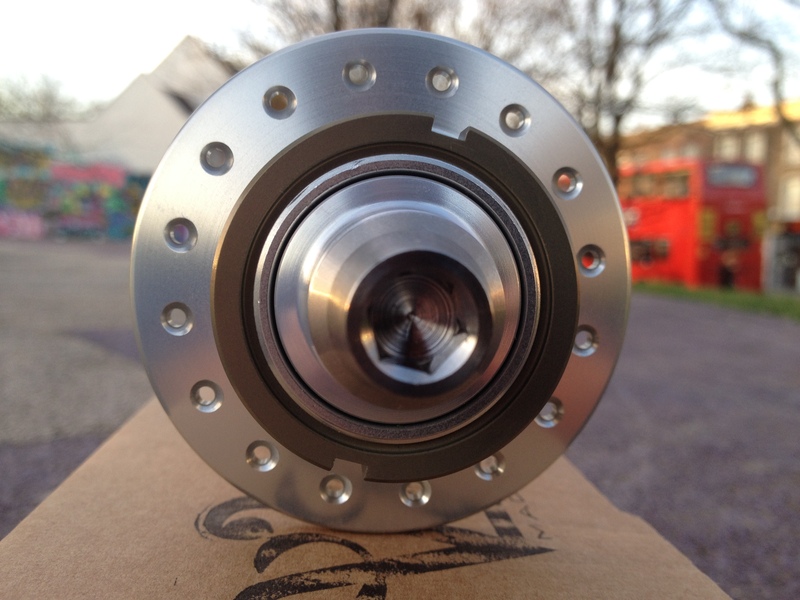 The flanges are drilled for weight reduction and give an beautiful look to the hubs. 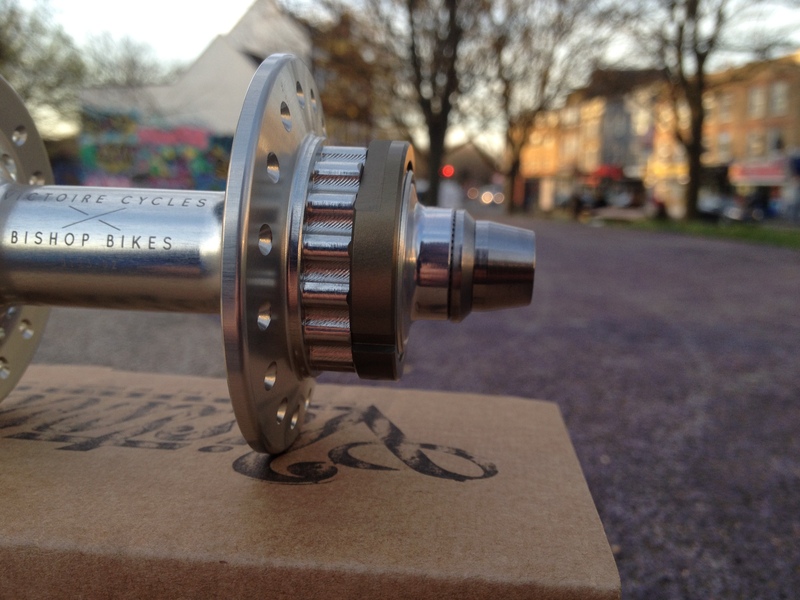 The front weighs in at 160 grams, which is a full 41 grams lighter than the Phil Wood SLR front hub. The rear hub utilizes a unique splined interface for quick, painless cog installation and removal. This is a great feature for those of us who like to swap cogs regularly without the hassle of threads. The rear is machined from the same weight saving material as the front. 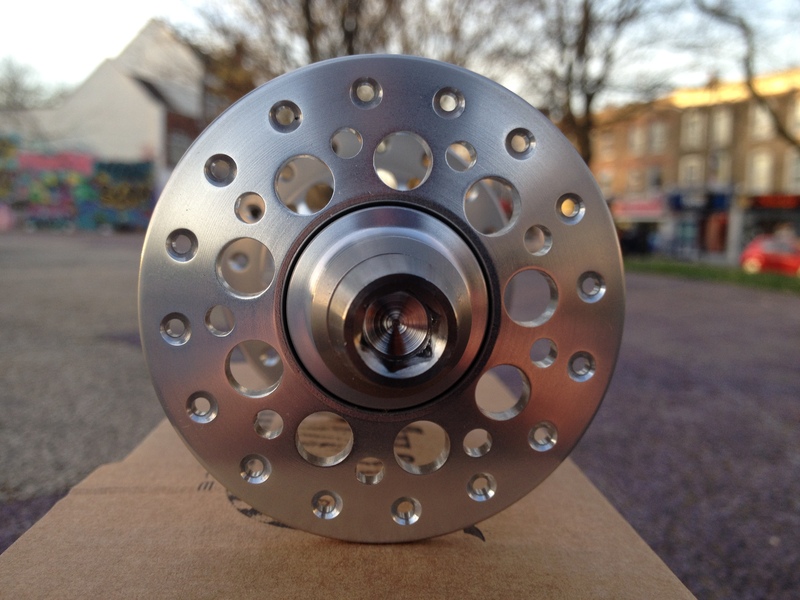 Weighing in at 250 grams with bolts and lockring this hub is a full 125 grams less than the Phil Wood SLR rear hub. The cogs are beautifully machined and extremely lightweight but that is for a future post. All together out of the box these hubs are impressive. I am looking forward to building them up as soon as possible. For more information and to grab a set for your self click here!